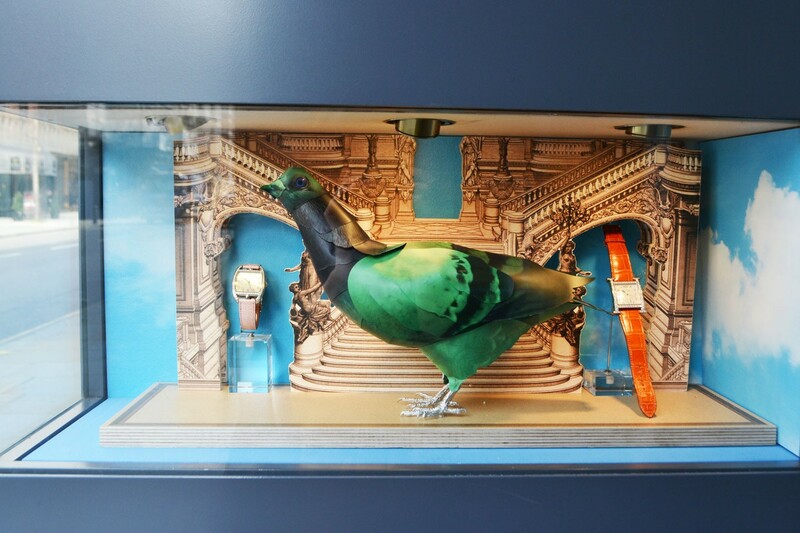 THE FIRST URBAN CITY PLANNERS CREATING A MODERN METROPOLISES FOR THE FUTURE UNDER A BLUE SKY. 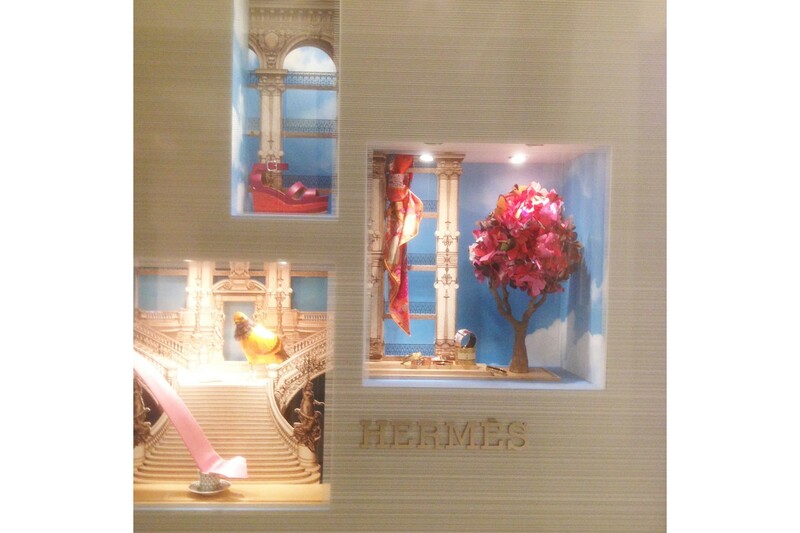 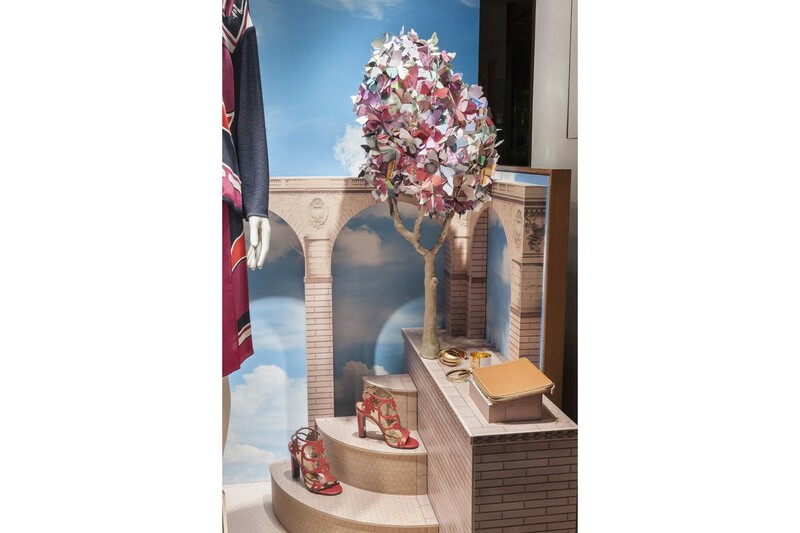 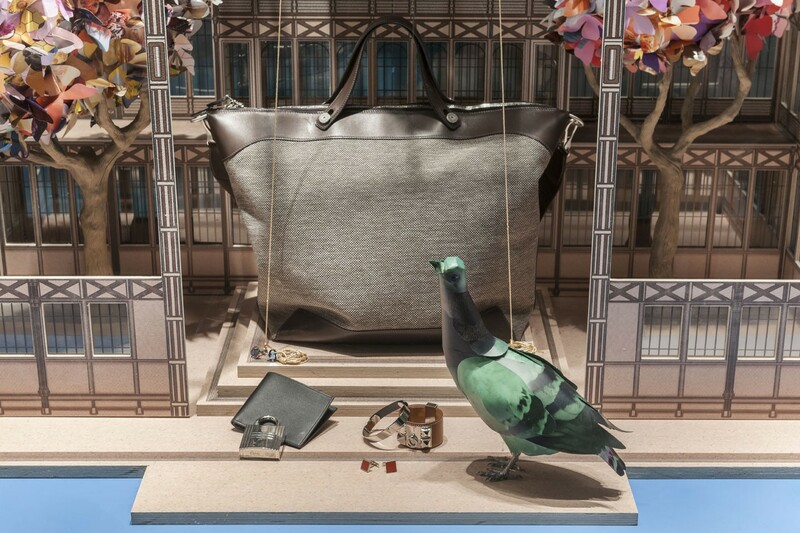 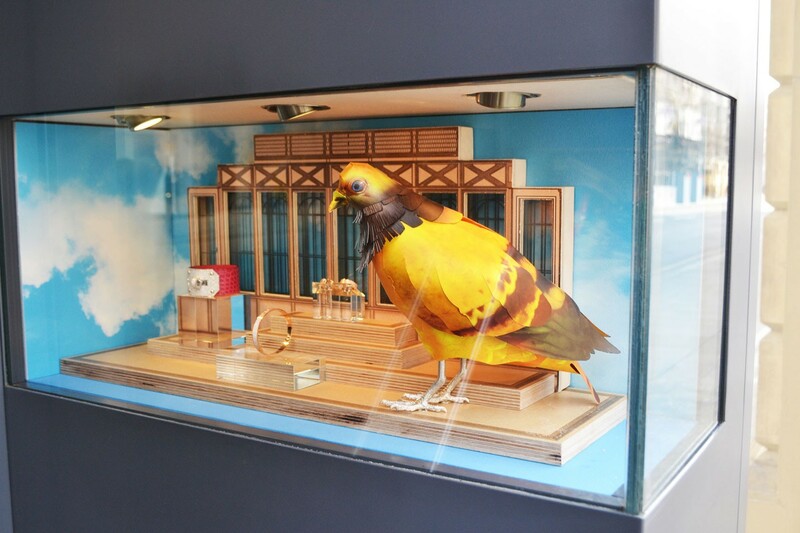 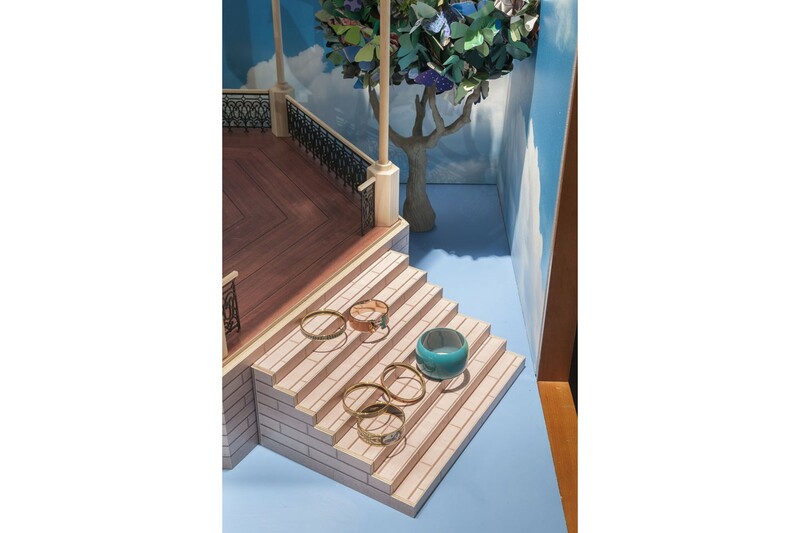 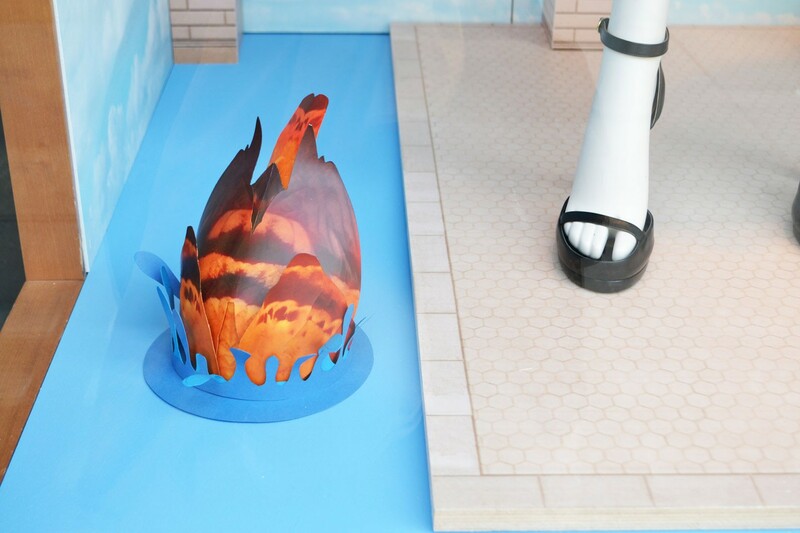 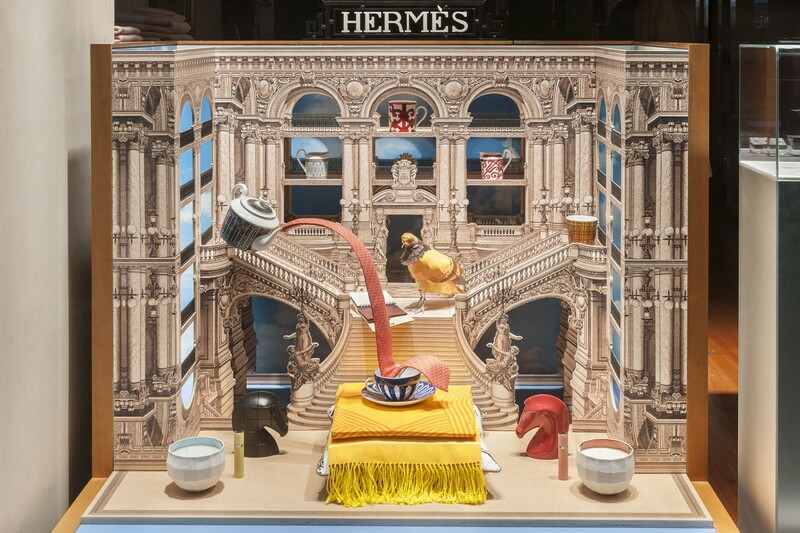 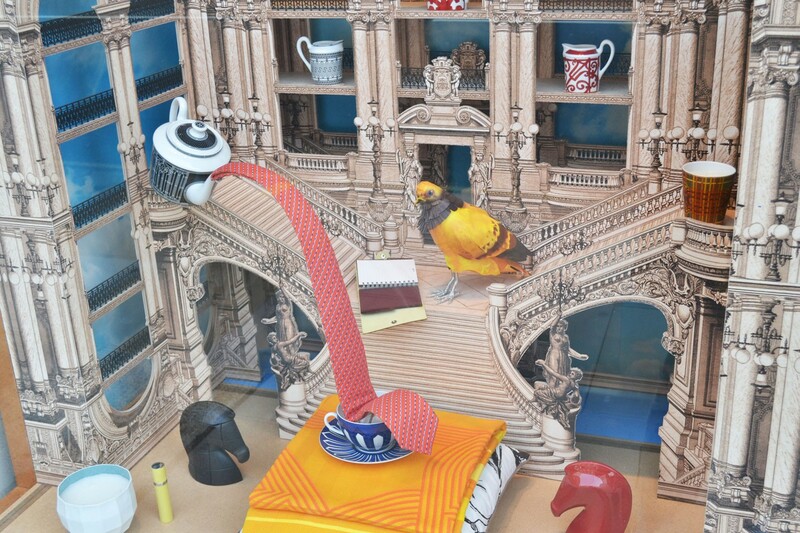 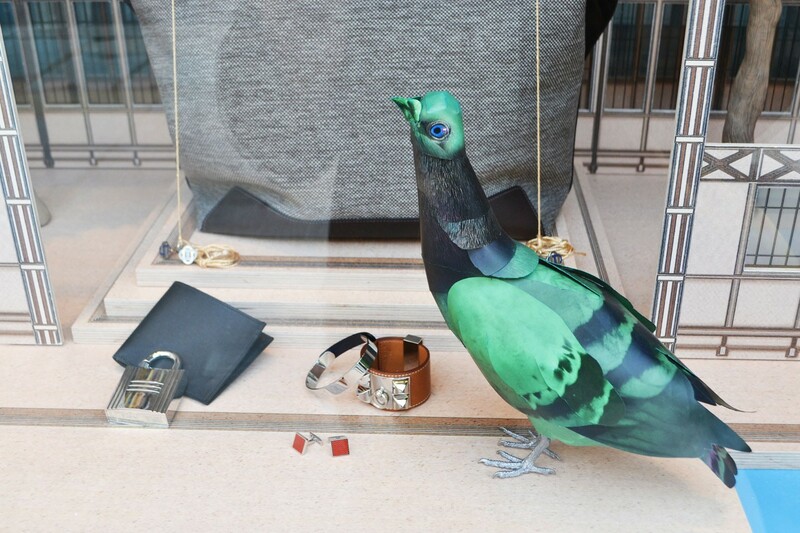 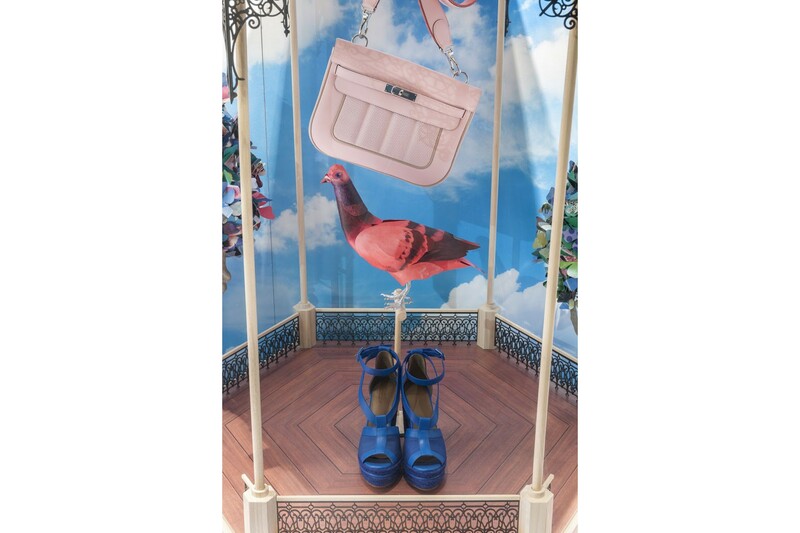 WE CREATE A WORLD IN WHICH HERMES PRODUCTS BECOME PART OF THE CITY SCENE. 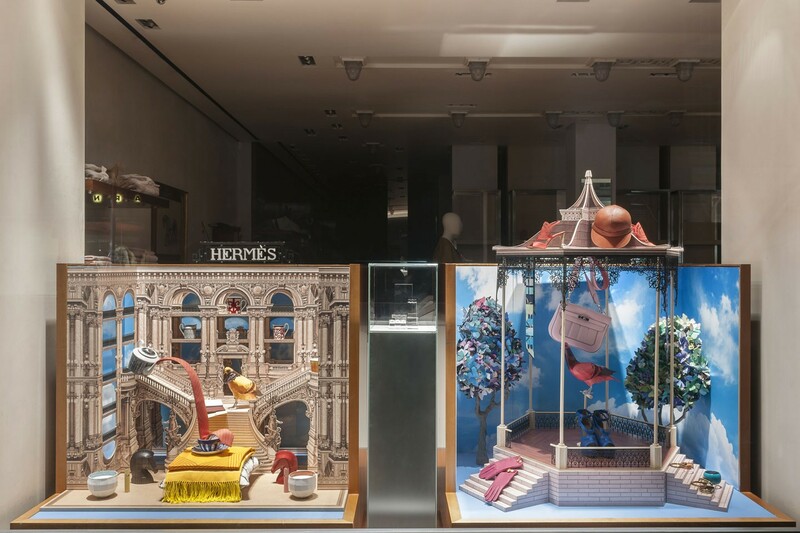 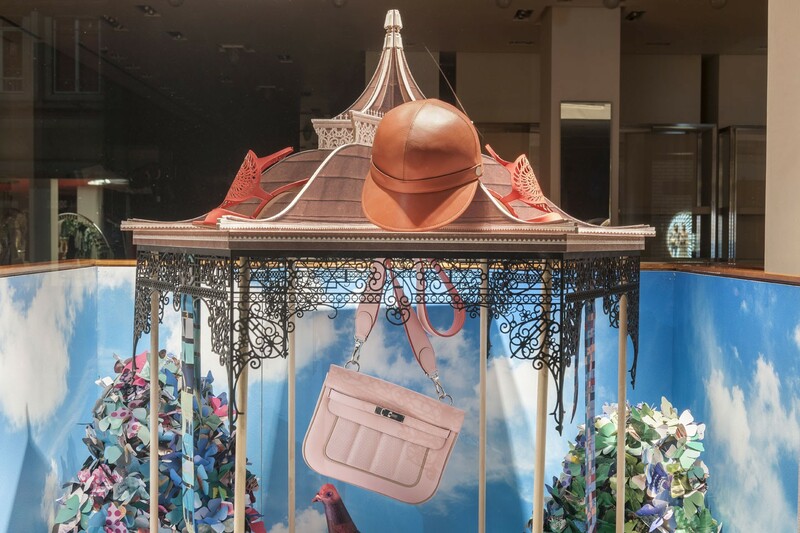 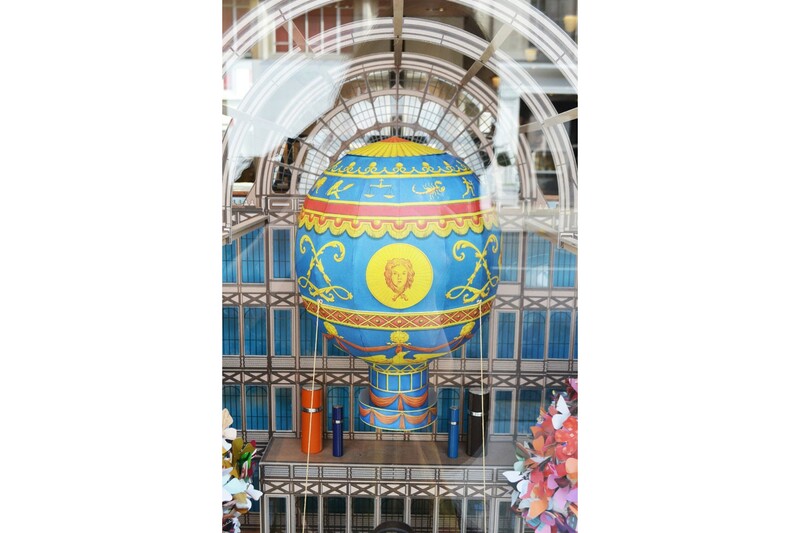 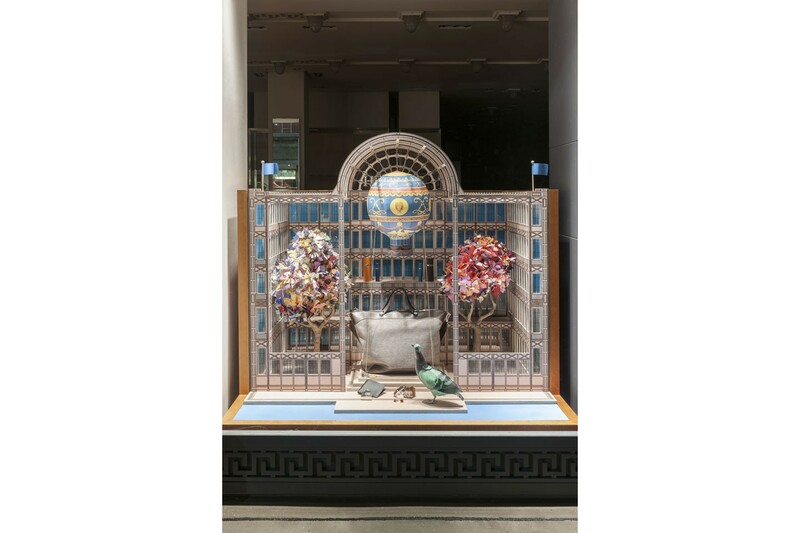 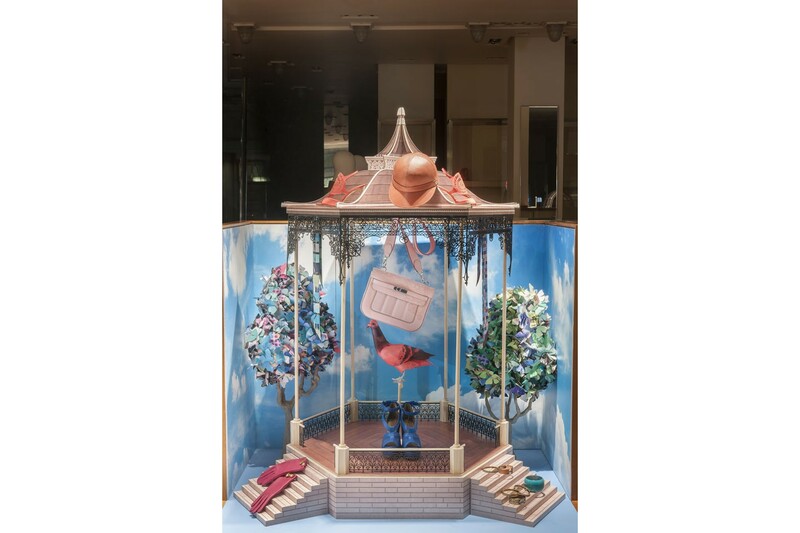 THE FOUR WINDOWS DEPICT SCENARIOS FROM SEPIA PHOTOS OF THE CITY LANDSCAPE, THE FLÂNEUR BY THE RIVER, IN THE PARKS, IN THE GRAND MAGASIN, AT THE EXHIBITIONS, VIEWED THROUGH ROSE TINTED SPECTACLES.